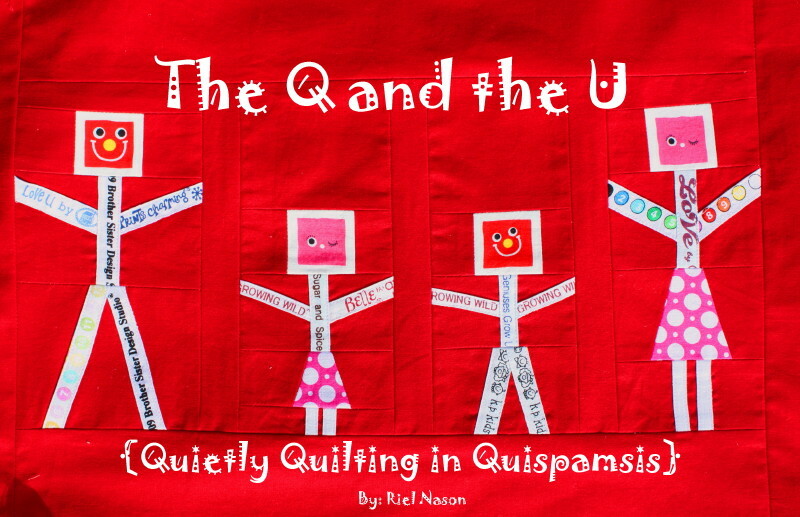 I'm so excited to have Riel Nason here from The Q and the U. 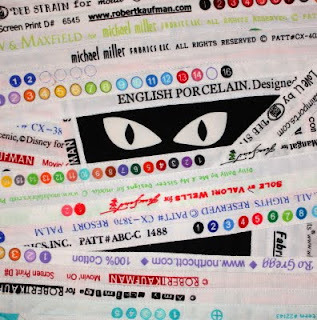 She is a fellow selvage-obsessed quilter who does the MOST amazing and original work with selvages. 1. Riel, how did you choose the name, The Q and the U? I can't remember having other names chosen. I did take a little time to think of what other words started with Qu that I could maybe throw into the tagline, but "quirkily" or "quickly" quilting don't quite have the right ring, although they may be apt descriptors for what I do. 3. Now that you are recognized by The Q and the U, are you happy with it, or do you wish you could change it to something else? 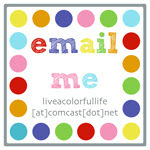 I like my blog name. I really have never thought about changing it. 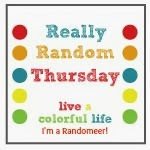 Thanks so much Cindy for inviting me to play The Name Game. Riel, you areso welcome. I'm so happy you played along. Your work is stunning! I had to grab these two pictures as well. 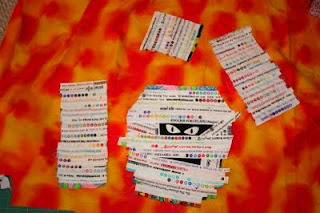 Halloween is just around the corner, and look at what Riel is working on now. 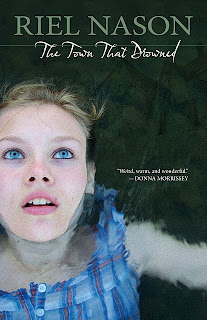 I'm also going to do a little promo plug here because Riel has written a novel that will be released in October. You can read more about it here. 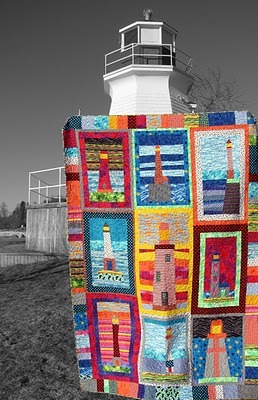 While you are there, be sure to check out more of the amazing quilts that Riel has made. Next week, Kelly will be here from Pinkadot Quilts. Another fascinating name--you won't want to miss it. Fun! 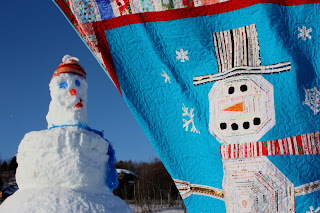 I've been a follower of Riel's blog for a while - LOVE the way her quilt shots are staged!! And, of course, her selvage play FASCINATES me! 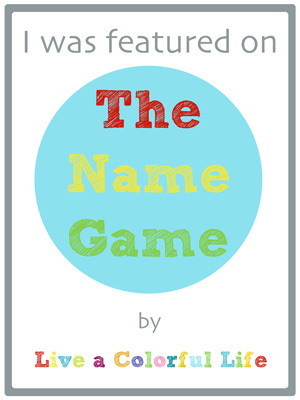 I am a follower of Riel's and I never knew this about how she chose her name. Isn't she one talented lady? 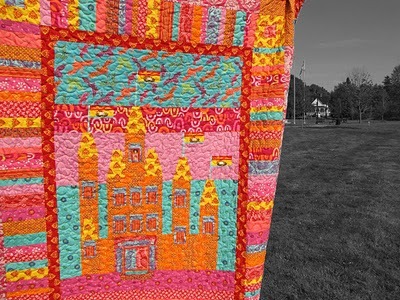 Love her quilts and now an author, too! She has the best selvage work of anyone I have seen. These are so fun to read! Thanks for sharing these stories. 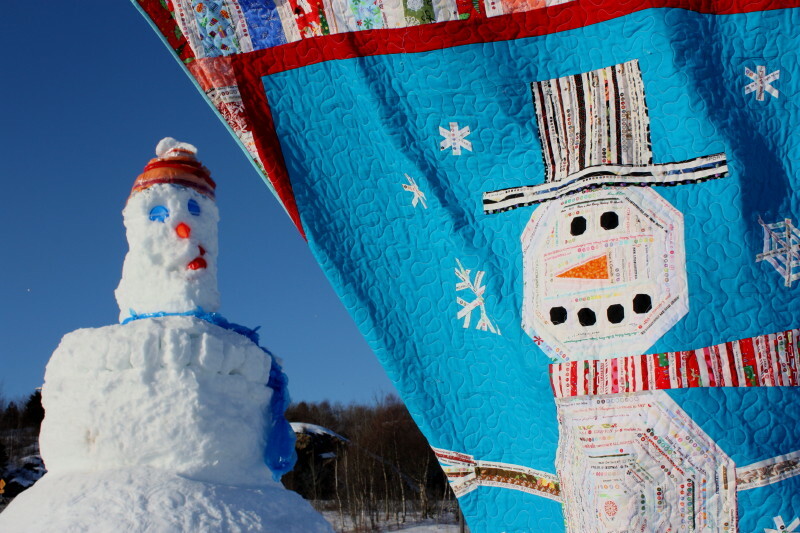 I love her quilts! I wish I could get addicted to selvedges. I love them. But when it comes to saving them, I just can't bring myself to do it, because I have so much CRAP in my room already!